If Buffett had (1) decided to buy Lubrizol and (2) bought $10mm of Lubrizol stock for Berkshire&apos;s trading account,2 and then (3) Berkshire approached Lubrizol and negotiated a deal: not insider trading! If Sokol had (1) convinced Buffett to buy Lubrizol and (2) bought $10mm of Lubrizol stock for his personal account, and then (3) Berkshire approached Lubrizol and negotiated a deal: insider trading! The difference is not the insideriness - Buffett/Berkshire are more insidery, or have more material nonpublic information, than Sokol - but rather the misappropriation of that material nonpublic information. If Berkshire trades on Berkshire&apos;s plans, that&apos;s sort of an epistemological necessity. If Sokol trades on Berkshire&apos;s plans, when he has some duty not to - if, for instance, Berkshire has policies requiring him to keep its plans confidential - then that&apos;s insider trading. The evidence was circumstantial, S.E.C. officials concluded, and it was unclear whether Mr. Sokol had a true window into the Lubrizol deal-making process. 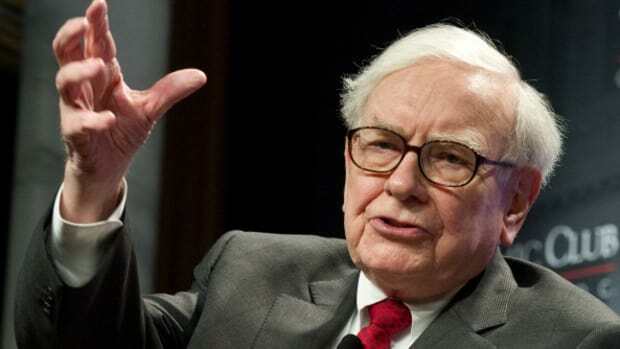 He also had no indication at the time of his stock trades that Mr. Buffett would be interested in acquiring the company. So: while I&apos;m wearing my not-your-lawyer hat, I suppose this has to be right. When Sokol bought his shares he&apos;d basically been cold-pitched on Lubrizol (and seventeen other chemicals companies) by some Citi bankers, who "had an investment banking relationship with Lubrizol and its CEO, James Hambrick" but who had not been mandated by Lubrizol to sell the company to Berkshire or anyone else. And Sokol had been "encouraged to scout for, and to bring to the attention of Warren Buffett, potential acquisition opportunities for Berkshire Hathaway," but Buffett had said nothing about Lubrizol and in fact when Sokol first pitched him "Mr. Buffett was initially unimpressed with Lubrizol as a potential acquisition." Sokol hadn&apos;t really lined up either a buyer or a seller, so you&apos;d be hard pressed to make the case that he was illegally trading on material nonpublic information. in fact Lubrizol was a seller and Berkshire ended up a buyer and he made lots of money. How material you think either of those first two facts are depends on how good you think Berkshire corp dev guys and/or Citi investment bankers are at their jobs; but you don&apos;t have to believe "every bank pitch turns into a deal" to believe that Sokol had a bit more insight into the likelihood of an acquisition than, say, the average retail investor, or the average institutional investor, or let&apos;s say the average anyone who wasn&apos;t scouting acquisitions for Berkshire Hathaway. Like I said, though: the SEC is surely right not to bring a case here. Sokol had more than zero sketchily obtained inside advantage, but less than whatever the magic number is that makes it "material." He&apos;s not alone in that - corporate executives and investors who do lots of management meetings also somehow turn lots of not-quite-material access into market-beating returns. And Sokol turned his not-quite-material advantage into $3 million of grudgingly-legal profits - profits that, presumably, would otherwise have gone to Lubrizol shareholders without his kind of almost-inside information. The question, though, is whether those diffusely injured Lubrizol shareholders should be much consoled by a few lengthy prison sentences for other, more clear-cut insider traders. And if not - if the insider trading cases that do get brought do nothing, really, to level the playing field for investors - then why are they such a priority for the SEC? 1.In a neat curlicue, he apparently "had given [Buffett] the impression that he was a longtime shareholder—not a recent buyer of the shares," which has Implications I suppose. 2.What about if he bought the shares in his - Buffett&apos;s - personal account (but then made Berkshire buy the company)? Let&apos;s call it an exercise for the reader. Mr. Sokol bought $10 million worth of stock in Lubrizol shortly before bringing the company to Mr. Buffett’s attention, according to the board. While Mr. Sokol made a “passing remark” to Mr. Buffett about his trading, the board said that Mr. Sokol did not tell Mr. Buffett that he had bought his stake in Lubrizol after Citigroup bankers had pitched the company as a potential takeover target. He also bought some of the shares, according to the Berkshire directors, after learning that Lubrizol might entertain a takeover offer. Mr. Hamburg also asked about Citi’s role in introducing Mr. Sokol to Lubrizol. Mr. Sokol answered that he thought he had called a banker he knew at Citi to get Mr. Hambrick’s phone number. When Mr. Hamburg commented that it sounded as if the banker must have exaggerated his role when he spoke with his colleagues, Mr. Sokol did not contradict him. Heheheh. A banker exaggerating his role in bringing a successful acquisition to Warren Buffett? You can see why Hamburg might assume that.